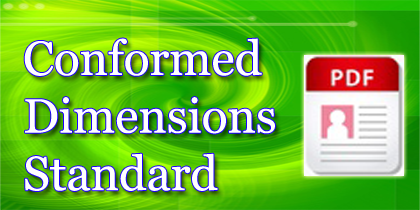 The Conformed Dimensions of Data Quality standard is growing in popularity and, as you can see, there are periodic meetups, research and presentations about the Conformed Dimensions. To have someone come to your event or company and talk about the standard please contact Dan Myers directly at dan[at]DQMatters.com. This was the first year that the Conformed Dimensions of DQ were presented as a four-hour tutorial during the EDW Conference. Over 30 attendees received the results of the dimensions of data quality survey and practiced their influence and negotiation skills during activities during the tutorial. 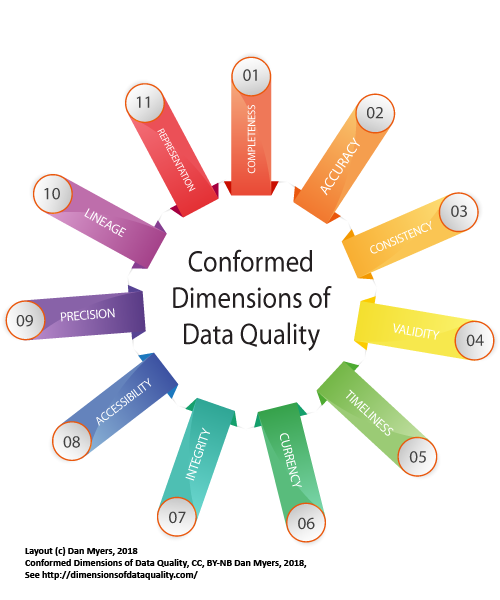 Each attendee received hand-outs of the standard as we reviewed the Conformed Dimension of Data Quality. The DAMA LA/OC Chapter invited Dan Myers to present on the Conformed dimensions during their monthly meet up. Where 8 attendees received a short overview of the standard with examples and lots of good discussion.